Release date: March 2019. 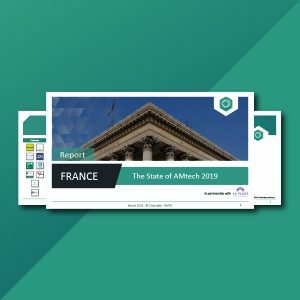 In this report, our research team went through the funding activity of AMtech start-ups in France and Europe. 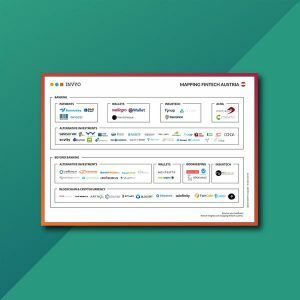 A detailed view is also shared on notable M&A deals and use cases on AI or blockchain technologies disrupting the asset management industry. 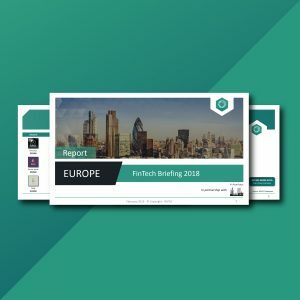 Report Outline: In partnership with La Place Fintech, the new Paris-based innovation hub that brings together all players in finance, the study gives you a detailed view of notable M&A deals and use cases on AI or blockchain technologies disrupting the asset management industry. 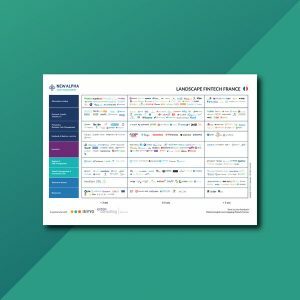 Market Overview: The potential for disruption is huge in France for the asset management industry, with the country hosting some of the world’s biggest players like Amundi AM ($1 730), Natixis IM ($942) or AXA IM ($830). Mapping: France is currently hosting 54 AMtech start-ups, with 50% of them that are existing since more than 5 years. Market Insights: Based on our estimates, robo-advisors in France raised a total of €24M+ to date, far less important than their peers in the UK (€300M+) or Germany (€100M+).